TOKYO - A restaurant in a high-class Tokyo hotel unveiled Thursday giant wagyu beef hamburgers with gold-dusted buns, costing 100,000 yen ($908), in honor of the upcoming ascension of the new emperor. Available at the Oak Door steakhouse in the Grand Hyatt Tokyo, located in the capital's posh Roppongi district, the 3-kilogram burgers will celebrate the succession and new imperial era using an array of expensive ingredients, also including foie gras and shaved black truffles. 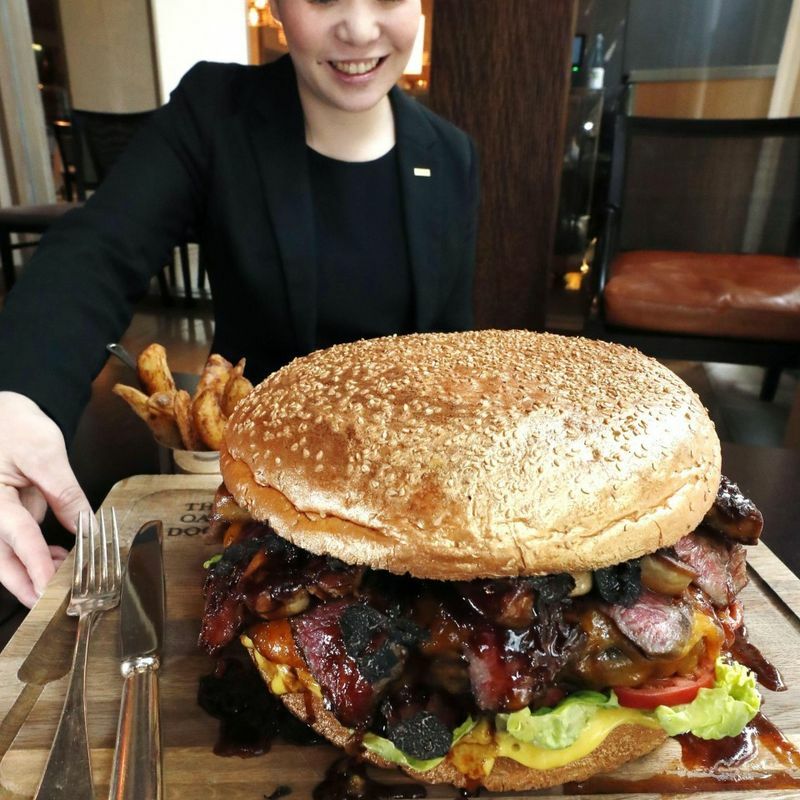 The Golden Giant Burgers, approximately 25 centimeters wide and 15 cm high, recommended for six to eight people and accompanied by a bottle of wine, will be available from April 1 through the end of June, according to the restaurant. The government will unveil the name of Japan's new era on April 1. The country's 248th imperial era will start on May 1, when Crown Prince Naruhito ascends the throne following his father Emperor Akihito's abdication the previous day. The 85-year-old emperor expressed his wish to retire in a rare video message in 2016, citing his concern that he might not be able to fulfill his official duties due to his advanced age. He will become the first living monarch to step down in about 200 years.